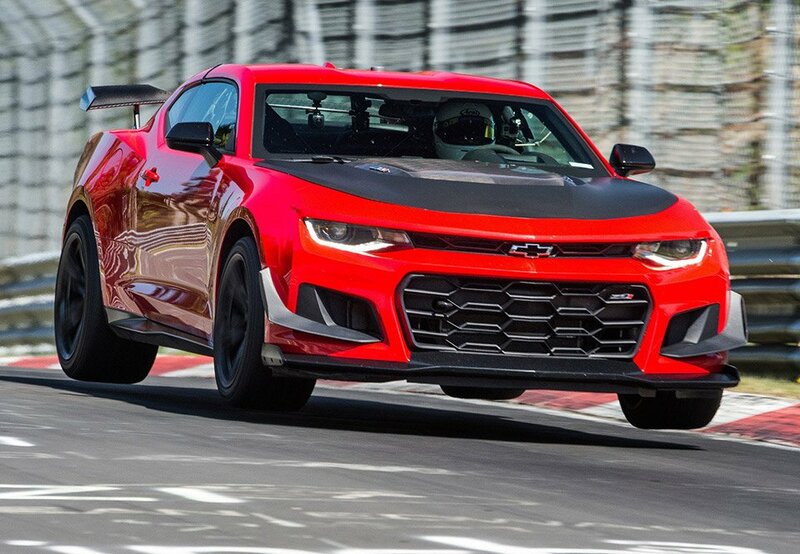 The 6th generation Chevy Camaro has demonstrated its impressive handling and speed on numerous occasions, and now the race-spec’d Camaro ZL1 1LE has gone and set a record for the fastest lap around the Nürburgring ever in a Camaro. This is the hopped up version of the ZL1 with stickier tires, better suspension, and more aero bits. As it turns out all that hopping up REALLY paid off. The normal Camaro ZL1 laps the Nurburgring in 7:29.6, which is an impressive time on its own. The 2018 Zl1 1LE did the same lap in 7:16.04. That is a massive gain. That time puts it firmly in European sports and exotic territory. In fact, it went around faster than the Ferrari 488 GTB. While some automakers don’t like to share their lap videos, Chevy put theirs right out there along with the lap time. The car used for the lap is a manual transmission as well, not the flappy paddle 10-speed automatic either. I’m not sure how the driver, Camaro ride and handling engineer Bill Wide, fits his massive balls inside the Camaro and is still able to see out of the window.